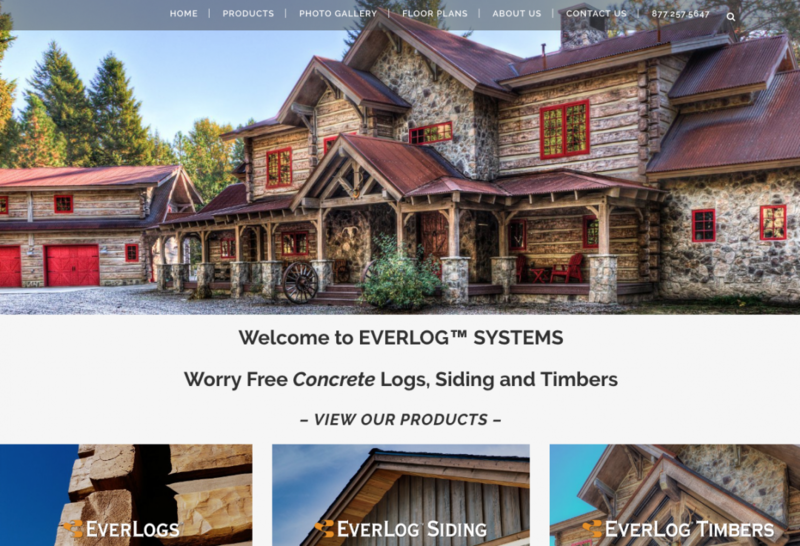 EverLog Systems is a small Montana company that designs and crafts concrete logs and concrete log structures…huge cabins designed to withstand all elements and last far longer than traditional wood logs. With them, we directly partnered with their IT dept to give them a full SEO “makeover”. As with many of our clients, we began looking at the website code and provided a detailed analysis of any issues that could have been preventing better rankings. After that, we started a major keyword research and on-page optimization effort. This work, over a few months, increased organic traffic by over 100% and the conversion rate by 50%. Our work at EverLog Systems is the clearest example of the benefits of taking the time and effort to address a site’s search presence. EverLog Systems was already an industry leader and ranking well. But with some deep content optimization, we drove so much business that they are busy filling orders to this day. Even if you are doing okay with your business, this shows that some thinking and work with a talented SEO expert can still grow your business. This traffic is free and ongoing and companies like Everlog Systems are reaping the benefits.